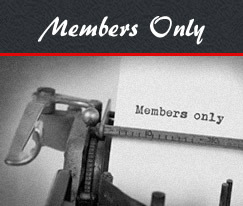 Following the introduction of the website membership of the group has expanded to over 60 members from Scotland, England, Ireland, USA, Australia, Canada, New Zealand and a whole host of other countries. Includes the census, school admissions, headmasters diary, church and cemetery records. This information can only be accessed by taking out an annual membership for £11.00 sterling which offers full and unrestricted access to all information within this section for one year. 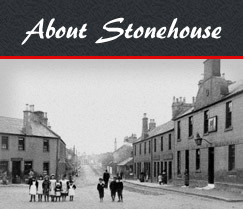 The website offers a fascinating insight to Stonehouse village history, family history research as well as providing a social record of life in the village around the late 1800’s. We also have an active facebook group page that people can join. Why not look us up or click the facebook logo. If you have photographs or information that you would like to see displayed on our site or would like to share with our group please do not hesitate to contact us. An annual membership payment of £11.00 provides unrestricted access to all online data for one year. Currently the group has a hot desk resource room at the local lifestyles community hall at Udston Mill road Stonehouse. Members and members of the public (on a request basis) can request access to what records we hold. The resource room is manned every third Saturday by one of our members and given some notice we can organise to meet most week days or evenings if the hall is open. In our resource room we have the original copies of our local newsletter, cemetery inscription records, old school admission records, school diaries, scholar autographs,parish and census records, pit deaths, collections of local area photographs and a small collection of school photographs some of which are currently not on the website. For family history research the ideal starting point is your own family including relatives and older friends who may all be able to provide useful information. Documents such as birth, marriage and death certificates, school and army records, photographs, scrapbooks, family bibles etc can help to build a fuller picture of your family’s history. From 1 January 1855 all births, marriages and deaths had to be registered. All these certificates usually give the names of the parents. So, for example, if you knew one of these dates for a grandparent, the certificate from the local registrar’s office will give the names of the great-grandparents. For records prior to 1855 researchers have to rely on church registers of baptisms, marriage and burials, wills, censuses, gravestone inscriptions and other miscellaneous records. These and other information resources have been transferred and are now stored on our website database. If your roots are in Stonehouse you can search our Historical Data pages on our website to help trace your family tree as well as read about our past. 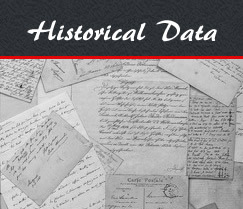 The Heritage Group database holds a collection of unique records that can be searched easily by entering a few characters in the search fields within each topic category. Please note that any photographs viewed on the site can be purchased without the watermark, costs of an A4 sized photograph would be in the region of £8- £10.00 excluding postage or a smaller digital resolution can be provided at £6.00 each. 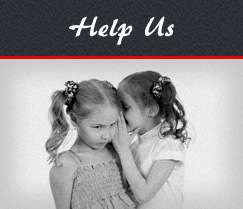 If you have photographs or information that you would like to see displayed on our site or would like to share with our group please do not hhesitateto contact us. Stonehouse Heritage Group (SHG) are a small voluntary group and registered charity formed in 1991. The First Project embarked on was the inputting of census information on the village of Stonehouse (Lanarkshire) into a computer database. The First census return to be input was the 1891 census. Search routines were developed so that the data could be easily accessed through a number of options that included Surname, full Name, Address etc therefore providing an extremely quick search facility. Since then a number of other census years have been transcribed as has school records and other information linked to Stonehouse. Work is still on going and is a slow process with only a handful of working volunteers.